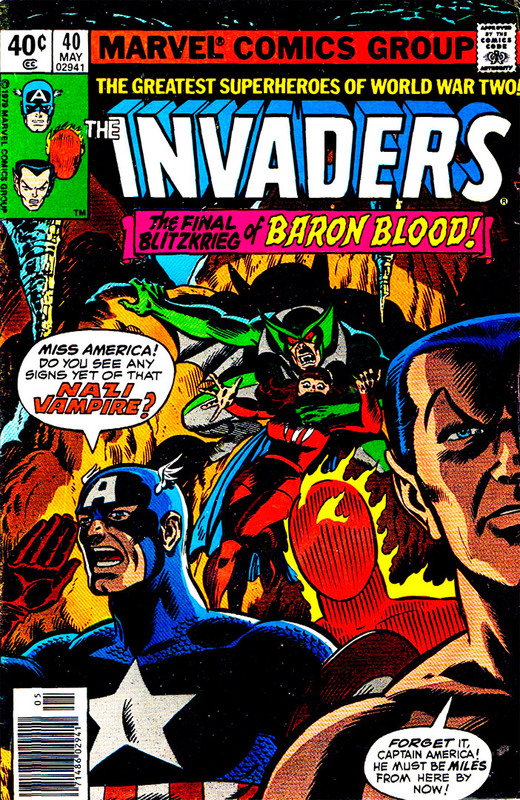 Invaders, The #40 Review (Nov 1978) | V ...- is for Vampire! V ...- is for Vampire! Review: Dun-dun-DUNNNN. It looks like a reunion of the Invaders' most overused villains, forming a Nazi supergroup called the Super-Axis! And that's what happens next issue! This issue was pretty entertaining, with an added bonus: Kupperberg and Stone's art now sort of resembles the Golden Age art for these characters, giving them, especially Baron Blood, an interesting angle. Why the Invaders are putting on a show at Fort Dix when they are supposed to be hunting the bad guys is a moot question. Presumably the pay was good and Florenz Ziegfeld was in the house (there's a vintage joke for you). Comments: Part one of two parts. The story title includes the Morse Code for V: three dots and a dash. 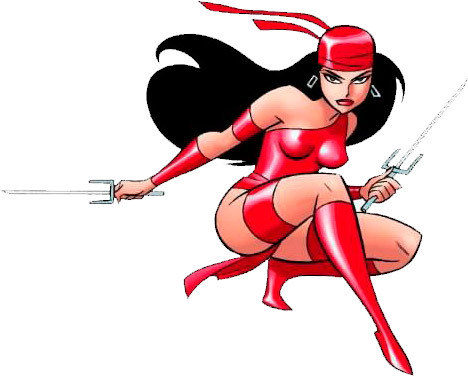 Roy Thomas is credited with the concept; Chic Stone with the finished pencil art. For issue #40 the price jumps to 40 cents; probably a coincidence. The letters page announces that this will be the last regularly scheduled issue; the next and final issue would arrive after four months. Period Pop-Culture Details: Universal Pictures (film company specializing in monster movies). Plus: Baron Blood, Invaders, Lady Lotus, Master Man, Miss America, U-Man, Warrior Woman, Whizzer.